Liposuction is defined as the removal of fat deposits beneath the skin using cutting edge technology, such as SmartLipo and Vaser Liposuction to facilitate the removal of fat while minimizing recovery time and promoting skin tightening and delivering body shaping results. New technologies in Liposuction offer outstanding results with minimal bruising and recovery time. SmartLipo™ is a minimally invasive, laser-assisted lipolysis procedure that removes unwanted fat from targeted body areas. At the same time the procedure promotes tissue coagulation and skin tightening by placement of a laser probe beneath the skin. SmartLipo™ is ideal for targeting localized fatty deposits. Whether you need to reduce fatty deposits in your abdomen, hips, buttocks, thighs, knees, breasts, upper arms, jowls, neck, or back, SmartLipo™ is an excellent treatment strategy. SmartLipo™ is also an outstanding tool for firming and tightening skin without fat removal. The most common areas for SmartLipo™ skin tightening include the neck, upper arms, abdomen, waist, back and buttocks. SmartLipo™ can also be combined with cellulite treatment, augmentation or other cosmetic procedures. SmartLipo™ targets the underlying skin to reduces dimpling and loose skin for a smoother and healthier looking appearance. Dr. Khan offers a full range of advanced liposuction options, including SmartLipo™, VASER® LipoSelection, and tumescent liposuction. Dr. Khan designs a customized approach for each patient, often combining liposuction techniques in order to achieve the best fat removal, skin tightening, and overall body sculpting results. WHAT CAN SMARTLIPO™ DO FOR ME? 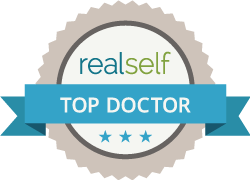 Am I a good candidate for SmartLipo™? SmartLipo™ is not a substitute for diet and exercise, and the best candidates for SmartLipo™ will be near their normal body weight. SmartLipo™ is an excellent option for people who wish to shape and sculpt their body by removing small areas of excess fat. SmartLipo™ is particularly helpful to treat areas that have not responded to traditional weight loss or exercise. SmartLipo™ may also be a great option for people who wish to firm and tighten skin in targeted areas that don’t necessarily need fat removal, such as the neck, upper arms, or buttocks. Dr. Khan will meet with you to discuss your goals and expectations, and help you determine which liposuction technique or combination of techniques would be right for you. Can SmartLipo™ be used for skin tightening without fat removal? Yes! SmartLipo™ is an excellent tool for skin tightening in many areas, even if you don’t want or need fat removed. In fact, certain areas may appear to need fat removal, but a skilled plastic surgeon will realize that skin firming, rather than fat loss, will achieve the best results. Laser liposuction can help firm and tighten lax skin by heating the underlying tissue and promoting collagen growth. The most common treatment areas for SmartLipo™ laser skin tightening are the neck, upper arms, abdomen, waist, back, buttocks and legs. LipoSelection® by VASER® combines new patented technology with advanced surgical techniques to break up and melt fatty tissue by gentle ultrasonic sound waves. Unwanted fat can be efficiently removed from abs, arms, back, hips, knees, love handles, neck, chin, jowls, and thighs. The VASER system is a state-of-the-art liposuction technology that features an ultrasound probe that melts fat, leaving surrounding tissue (such as nerves, blood vessels and connective tissue) relatively intact. The liquefied fat is then removed through our gentle suctioning process. Fat can also be harvested for transfer into other, more desirable areas of your body such as the face, hands and buttocks. A recent advance in liposuction and body sculpting, fat transfer procedures use your own fat (removed from one area of your body) to contour another part of the body. VASER Lipo-treated fat is typically higher-quality, and easier to transfer for these types of procedures with the goal to revolumize and reduce the signs of aging. The amazing VASER liposuction system can also be used to harvest stem-cells from your fat cells, making it one of the most unique and significant advances in the aesthetic industry. The tumescent technique for liposuction is unquestionably the safest form of liposuction. Tumescent liposuction is a very safe procedure and there have been no reported deaths associated with tumescent liposuction totally by local anesthesia. The dilute epinephrine contained in the tumescent anesthetic solution profoundly shrinks capillaries and thus virtually eliminates bleeding. Tumescent liposuction refers to a technique that uses large volumes of very dilute local anesthesia that is injected into the fat causing the targeted areas to become tumescent, or swollen and firm. Local anesthesia is widely regarded as the safest form of anesthesia. Post Op, patients may take pain medications as needed and directed by Dr. Khan. Compressive liposuction garments are worn for six weeks to augment the reattachment of skin to the underlying surface and to aid in the molding of the new body contour. All liposuction patients order one prior to surgery from one of our recommended garment resellers. Liposuction should be done without general anesthesia. Most life-threatening liposuction complications have been associated with the use of general anesthesia. Dr. Khan will be happy to meet with you to discuss SmartLipo™, Vaser Lipo and Tumescent Liposuction to determine the best course of treatment to reach your goals. Please call 201-313-8899 to schedule a personal consultation with the Doctor to discuss your customized treatment plan.